Local Artist Emer Dodds has always dreamed of using her talent for drawing for a business and with the thanks of The Ortus Group business start up programme has recently launched Artwork by Emer Dodds. 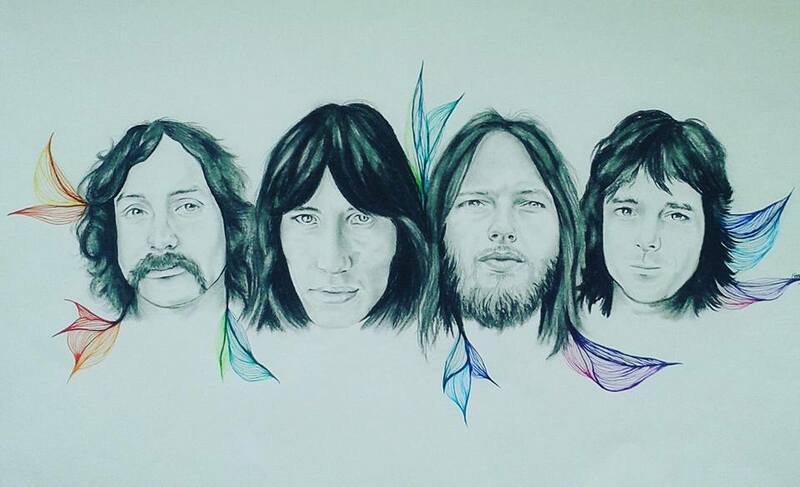 After working in retail, talented artist Emer Dodds aspired to run her own business selling unique pieces of artwork focussing on pencil drawings. In 2016, Emer took part in the Exploring Enterprise 3 programme with Ortus to begin her entrepreneurial journey. Emer’s artwork comprises mainly of pencil drawings with injections of colour currently focussing on celebrity portraits. 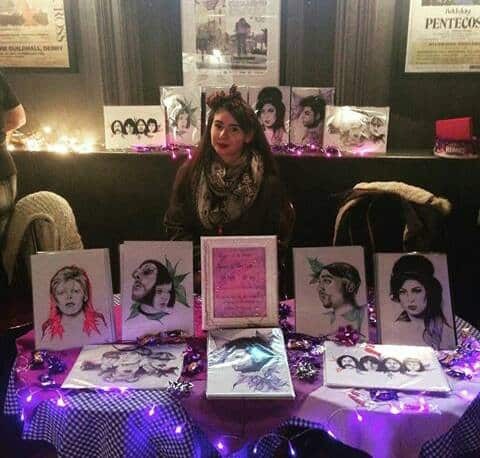 Now exhibiting her artwork at Culturlann, Falls Road, Emer is focussing on establishing herself at in the local marketplace with the vision to set up at St George’s Market in the near future. In establishing her business, Emer took part in the Exploring Enterprise Programme which gives budding entrepreneurs the opportunity to explore their business idea through a 4-week training programme and one to one mentoring. Training is given in a variety of fields including finance, marketing, business planning and sales but more importantly the team support and help entrepreneurs grow their ideas. “Without the help of The Ortus Groups I don’t think I would have had the confidence to set up in business myself. On the day I learnt about the course on offer, I was sitting in the jobs and benefits office, applying for jobs I didn’t really want and little motivation or know-how to pursue this business idea. This course has been a massive eye opener to what I could possibly achieve and has given me future idea for the business. Exploring Enterprise3 Programme (EE3p) is a pre-start initiative which supports activities to extend the employment opportunities of the unemployed, long-term unemployed and the inactive by helping them to enter, remain and make progress in sustained employment. Ultimately, EE3p is designed to fill a gap in the provision of enterprise support by addressing the needs of people who are not yet ready to progress to self-employment. The programme is run by Enterprise NI through its network of Local Enterprise Agencies and is part funded through the Northern Ireland European Social Fund 2014-2020 Investment for Jobs and Growth Programme, the Department for the Economy, Enterprise Northern Ireland and the Local Enterprise Agencies. Find out more on our range of business start-up programmes here!